BMW’s M division wasted little time in showing a camouflaged new 8-Series in the support program for this year’s Nurburgring 24 hour race. It is designed to fit in with the Mercedes-AMG S63 Coupe and Bentley Continental GT at the pointy end of the performance list with a mechanical package shared with the upcoming sixth-generation M5. 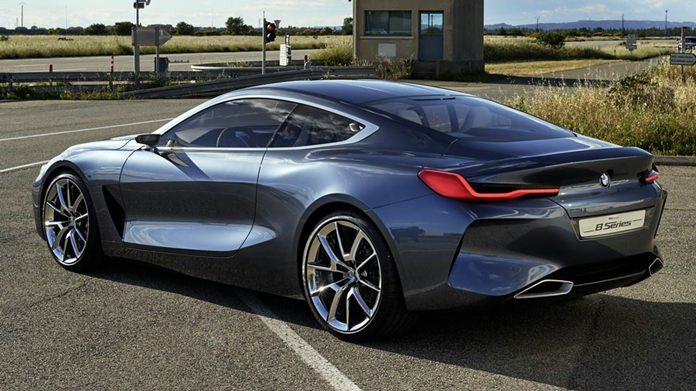 BMW M boss, Frank van Meel said, “The M8 will build on the genes of the 8-Series and augment its DNA with added track ability and generous portions of sharpness, precision and agility. It all flows into a driving experience that bears the familiar BMW M hallmarks.” And so much for the PR Speak and the BMW “DNA”, such silliness really. Stylistically, the prototype version of M8 holds true to the Concept 8-Series with a long sweeping bonnet, flowing roofline, a two-plus-two configured cabin that sets the driver well back within the wheelbase and an elongated rear. BMW M division engineers suggest early computer simulations hint at 0-100 km/h time for the new M8 in the “low three second bracket”. BMW announced at the Nürburgring 24 hour race on Saturday that the M8 will form the basis of a new production-based endurance race car, the M8 GTE. Under development at BMW’s Motorsport department in Munich, Germany, the new coupe is set to make its competition debut at the Daytona 24 Hour race in January 2018 before being pressed into action in the 2018 World Endurance Championship and its highlight event, the Le Mans 24 hour race. So there you are, BMW will be back in the fray during 2018 for release in the dealerships 2019. Jensen returns from the dead (again)! Are you an Anchor with a W in front?